They were held on Sarratt Green. 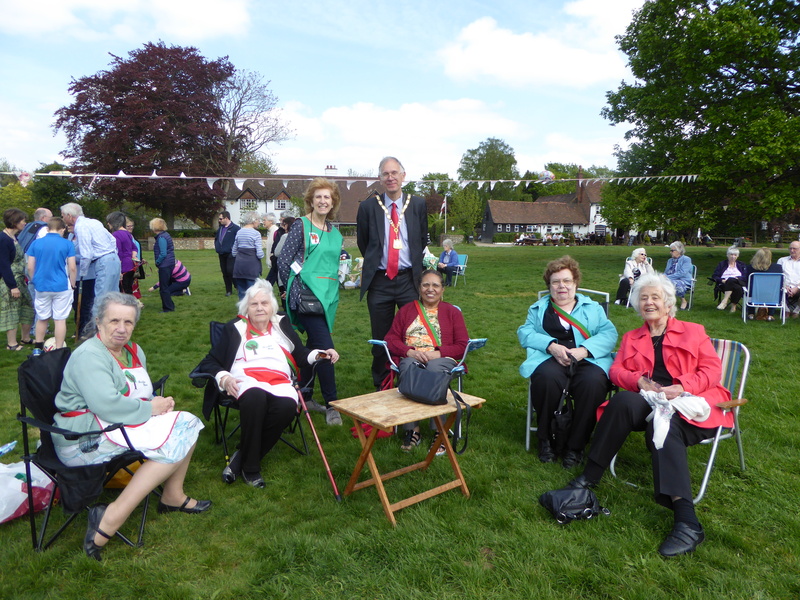 The Chairman of Sarratt Parish Council Anthony Soothill and District Councillor Marion Butler were some of the other guests. There were WI Members from Bovingdon, Watford (led by Pam Timmis) , Abbots Langley and Sarratt. The event had been organised by Dawn Pitts and her team. The baton arrived from St. Alban’s. After the afternoon celebrations in Sarratt, it travelled onto Maple Cross.